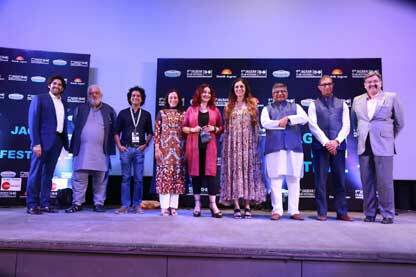 New Delhi: The capital city of India once again hosted leading personalities associated with the bigwide world of cinema, at the 9th Jagran Film Festival at the Siri Fort Auditorium. The inaugural sessions of the 5 day cinematic extravaganza was inaugurated by Union Minister for law & justice and electronic and information technology, Shri Ravi Shankar Prasad, leading actress Tabu, Festival director Mayank Shekhar. On the occasion actor-director-producer Pooja Bhatt, director Rahul Rawail, Santiago Ruysanchez (Culture Affairs head, Embassy of Mexico & India), Sh. 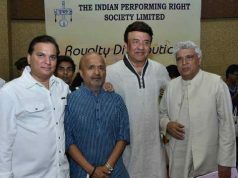 Sanjay Gupta (Editor in Chief & CEO, Jagran Prakashan Ltd.) among others were also present there. 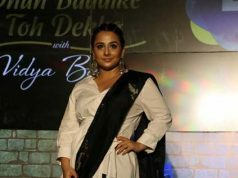 The highlights of the day were a master talk between Tabu and Mayank Shekhar about the actress’ three-decade journey of success in Bollywood, followed by the formal inauguration and screening of Vikas Chandra’s short film Maya. The audiences were entertained by the special screening of 3 Idiotas, the Mexican remake of the popular Bollywood movie 3 Idiots. In addition, the Indian Documentary Feature, The Argumentative Indian by Suman Ghosh and Indian Features like III Smoking Barrels were screened on day 1. 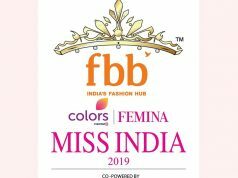 In its 9th year, the JFF, India’s largest traveling carnival on films and cinema, would travel to 18 cities, featuring more than 200 screenings including multi-lingual movies in different categories – Documentary Competition, International Shorts, Thematic Specials and Student Focus being the part of the 5-day festival fair. Following the celebral opening, more celebrities including the famous actor Saurabh Shukla and lead actor of the film Satya, JD Chakravarty would visit the festival to mark 20 years of the movie Satya. The program, ‘In-conversation with Saurabh Shukla & Chakravarty’ will be held on 30th June followed by a panel discussion involving India’s top journalists. The India Features Competition includes award-winning films such as, Shoojit Sircar’s October, Reema Das’s Village Rockstars , Atanu Ghosh Mayurakshi and Lijo Jose Pelissery Ee.Ma.Yau in varied languages. Also the homage screening for legendary actor Shashi Kapoor New Delhi Times will be screened. Ask The Sexpert is by Vaishali Sinha, a documentary competition along with Thematic Special documentaries in the Fan section, Being Bhaijaan, a documentary on Salman Khan and For The Love Of a Man, a documentary on Rajnikanth will be a part of seconds day’s grandeur. The 2018 edition of the Jagran Film Festival that will connect 18 cities and showcase over 200 films will commence in Delhi and tour to other Indian cities like Kanpur, Lucknow, Allahabad, Varanasi, Patna, Dehradun, Ranchi, Jamshedpur, Bhopal, Indore, Gorakhpur, Agra, Ludhiana, Hissar, Meerut and Raipur before concluding in Mumbai in September.